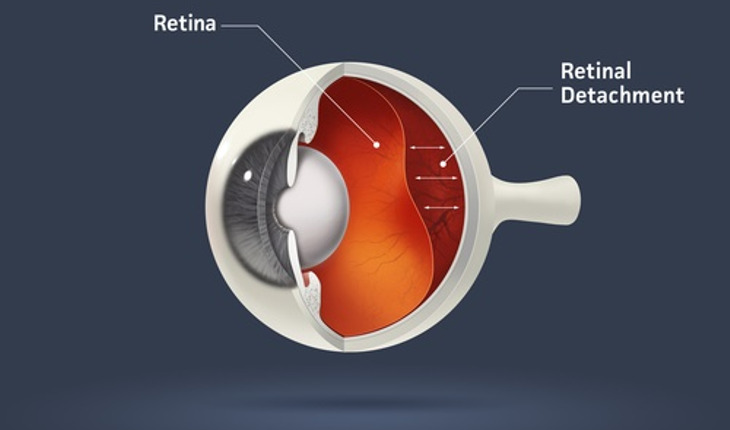 Dry eye occurs when the eye does not produce tears properly, or when the tears are of poor quality and dry up quickly. The eyes need tears for overall eye health and clear vision. According to the SeniorHealth experts, symptoms of dry eye include stinging and burning. You may also have blurry vision, be fatigued and have a gritty feeling, as if something is in your eye. These symptoms can make it harder to do some activities, including using a computer and reading for long periods of time. Additionally, being in a dry place, such as an airplane, can be irritating. There are two types of dry eye: aqueous tear-deficient dry eye and evaporative dry eye. According to the SeniorHealth experts, in aqueous tear-deficient dry eye the tear glands do not produce enough of the watery component of tears to maintain a healthy cornea. Evaporative dry eye may result from inflammation of the meibomian glands, located in the eyelids. These glands make the oily part of tears that slows evaporation and keeps the tears stable. Most people with dry eye will not have serious problems, but severe dry eye may lead to inflammation, ulcers, or scars on the cornea, and some loss of vision. It’s uncommon, though, to have permanent loss of vision, the experts say. Consider OTC products such as artificial tears, gels, gel inserts, and ointments. These offer temporary relief. The SeniorHealth experts emphasize avoiding remedies that contain preservatives if you need to appy them more than four times day. Also, steer clear of preparations with chemicals that cause blood vessels to constrict. Wearing glasses or sunglasses that fit close to the face (wrap around shades) or that have side shields. This can help slow tear evaporation. An air cleaner – to filter dust and other particles – can help eyes feel more comfortable. Ian air cleaner to filter dust and other particles can help your eyes feel more comfortable. A humidifier also may help by adding moisture to the air. Use lubricating eye drops while performing tasks that require you to use your eyes for a long time. If your symptoms If symptoms of dry eye persist, consult an eye care professional. He or she can rule out other conditions that cause dry eye, such as Sjögren’s syndrome. Medication. Cyclosporine, an anti-inflammatory medication, is a prescription eye drop. In people with certain kinds of dry eye, it may decrease damage to the cornea, increase basic tear production, and reduce symptoms of dry eye. Nutritional Supplements. In some patients with dry eye, the SeniorHealth experts say, supplements of omega-3 fatty acids (especially ones called DHA and EPA) may decrease symptoms of irritation. Talk with your eye care professional or your primary medical doctor. Lenses. If dry eye is a result of wearing contact lens for too long, your eye care practitioner may recommend another type of lens or reducing the number of hours you wear your lenses. Punctal plugs. Another option to increase the available tears on the eye surface is to plug the small circular openings at the inner corners of the eyelids where tears drain from the eye into the nose. Lacrimal plugs, also called punctal plugs, can be inserted painlessly by an eye care professional. These plugs are made of silicone or collagen and can be either be temporary or permanent. Punctal cautery. In some cases, a simple surgery called punctal cautery is recommended to permanently close the drainage holes. The procedure cannot be reversed. For more information on senior health issues, visit http://nihseniorhealth.gov/.